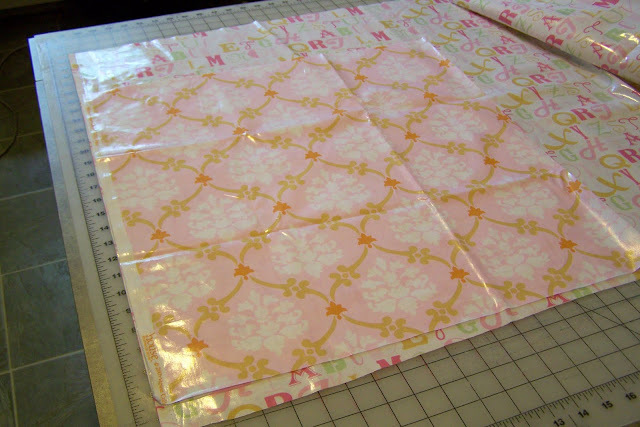 I have been having lots of fun playing with laminated fabrics lately. 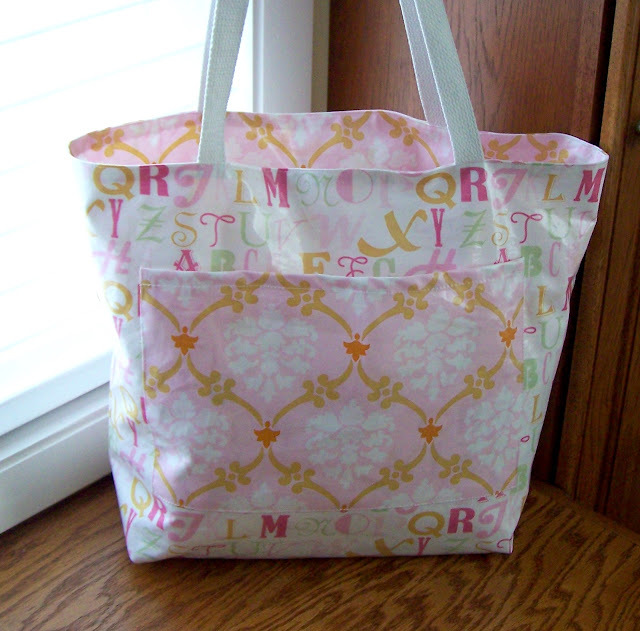 Seeing these two lovely fabrics I was inspired to create a reversible laminate tote. 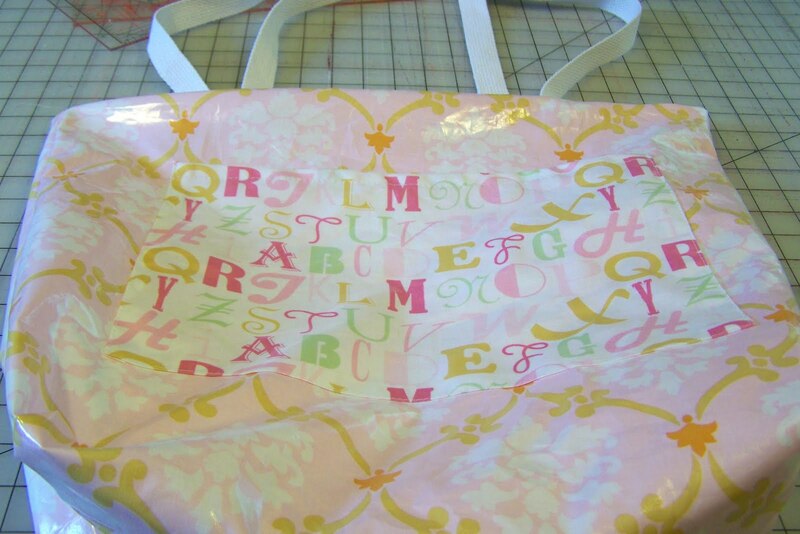 A laminate would be perfect for a beach or pool bag. If you head to the Y every week for a workout this bag will keep the water out (or in!) Perhaps a tote for wet grocery items like jugs of milk from the grocery store. 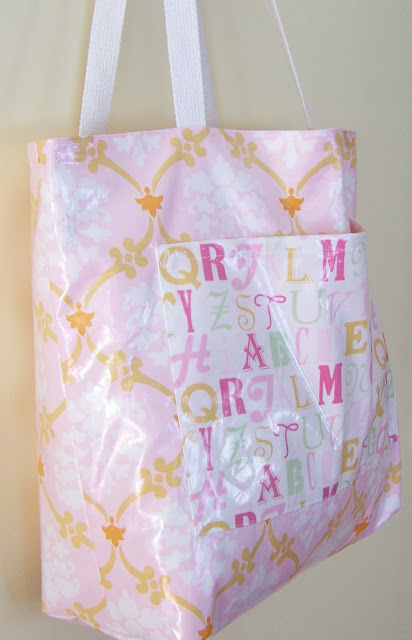 Or even a diaper bag! The best part is that this tote is reversible so you get two looks in one. 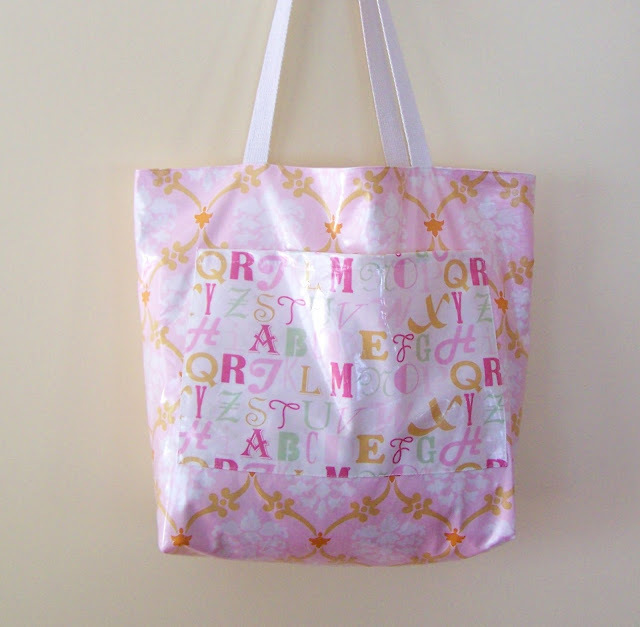 You can be a sophisticated lady with the damask pattern or baby-toting mom with the alphabet pattern. 1. 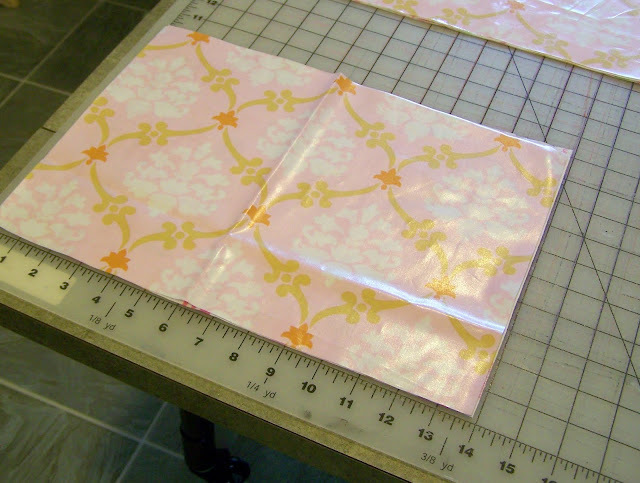 Cut two squares 21″ wide x 19″ high from the laminate fabric. 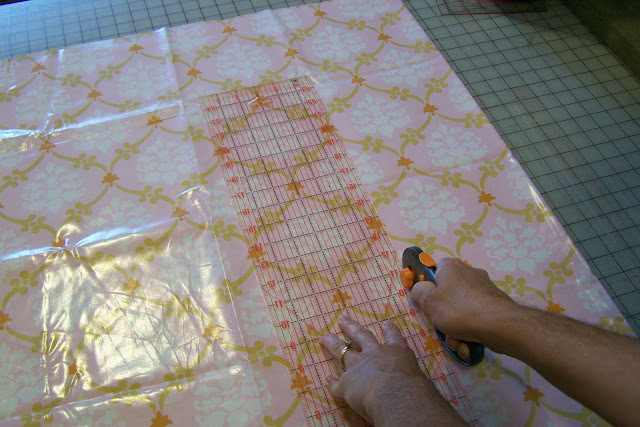 Once you have one fabric cut, use that piece as your pattern to cut the second fabric. 2. Cut 14″ x 10″ out of each fabric for a pocket. 3. Prepare pocket for stitching. Do not simply fold and press laminates. 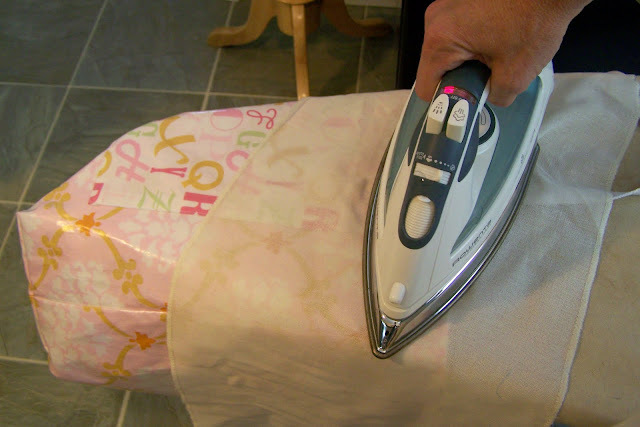 You can easily press the back side of the laminate with a hot iron. 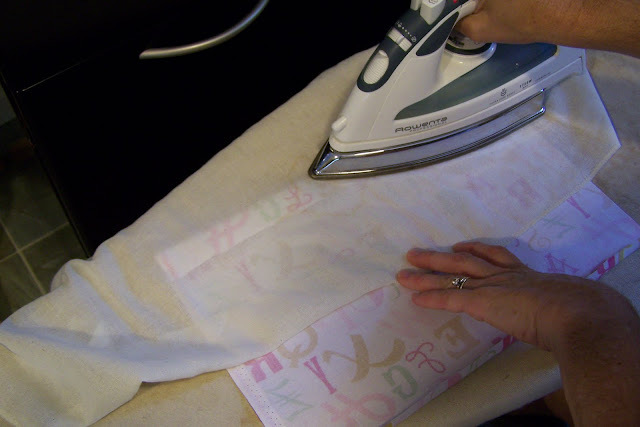 However, when using the iron on the top side – with the laminate film up – always use a press cloth. Press with a press cloth. 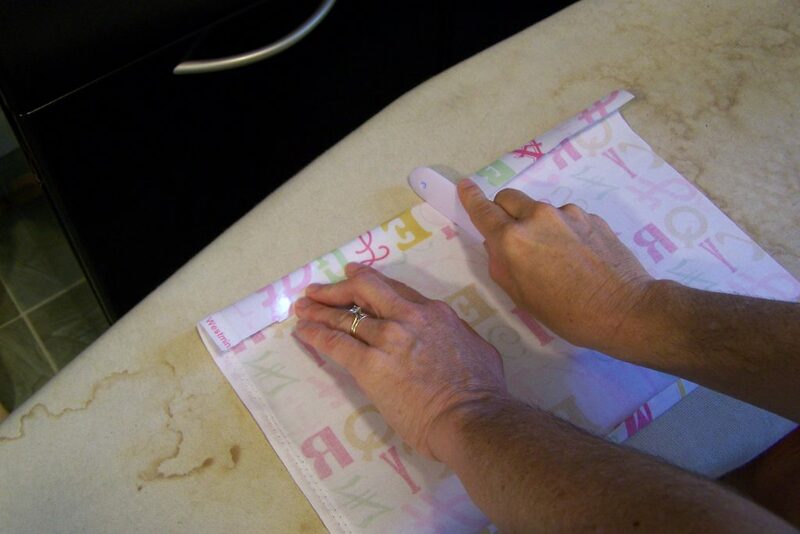 Fold the top under again and pin. 4. Stitch the top of the pocket. 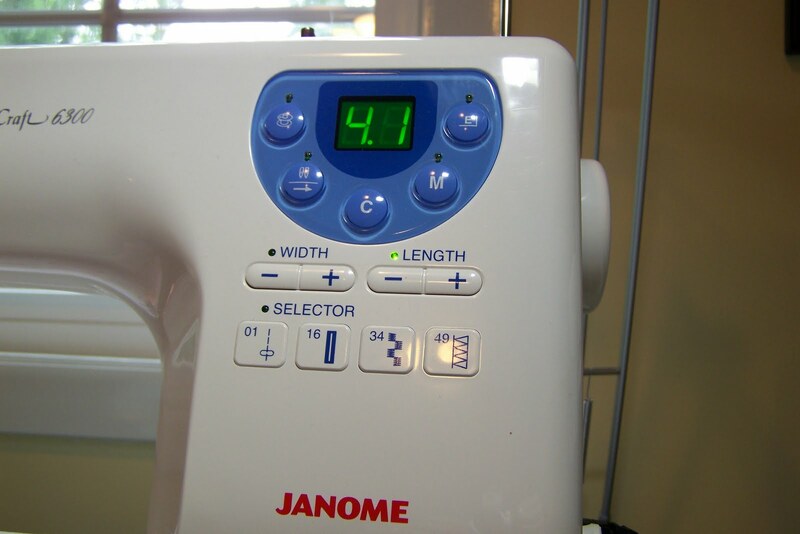 I set the machine to the longest stitch length and used my regular presser foot. It worked fine. 5. Pin and stitch pocket to bag side. 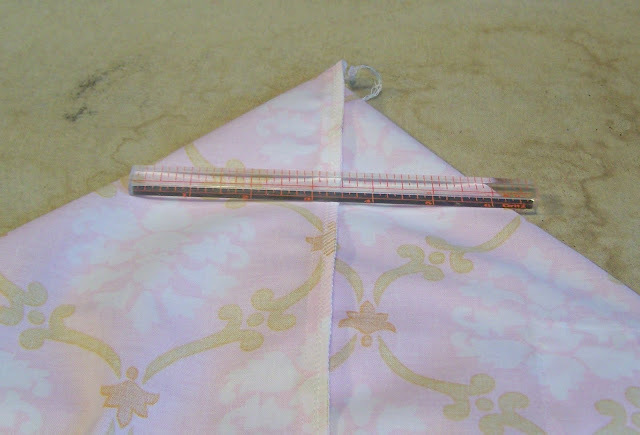 Center pocket 4″ from the top and 4″ from the sides. 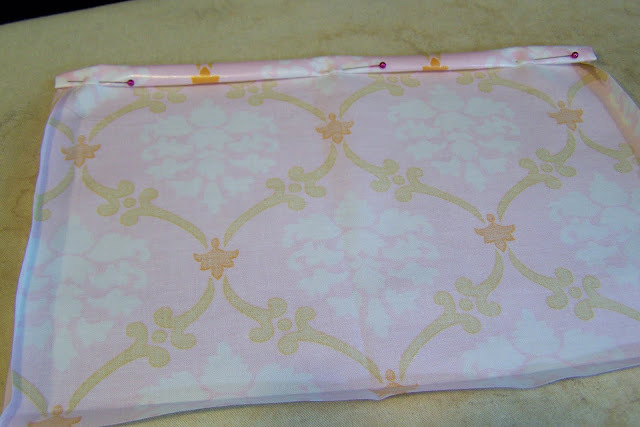 I tested sewing the fabric using a walking foot. (Sometimes I do have a problem with the needle falling out when I use a walking foot due to the pressure of the foot on the needle.) You can experiment with a roller foot or a Teflon foot. I also dialed back the stitch length just a bit. 6. 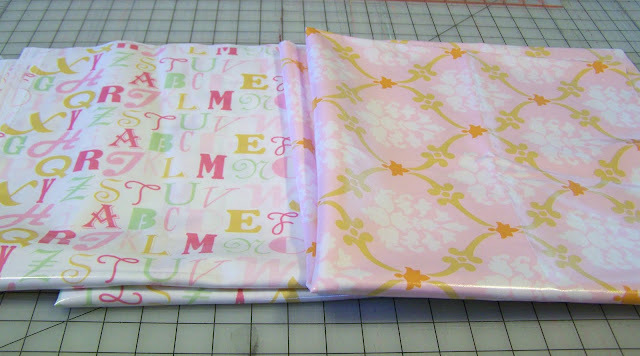 Now you should have a pocket applied to the main fabric and the contrast fabric. 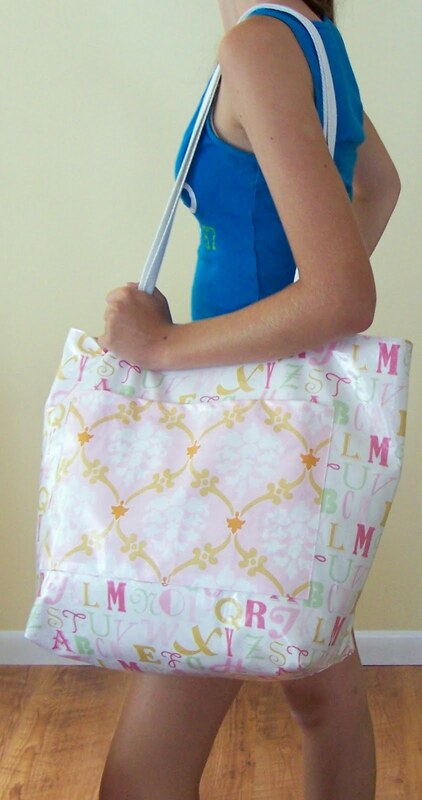 I like my pockets to be contrasting to the main fabric but you can design your bag however you would like. 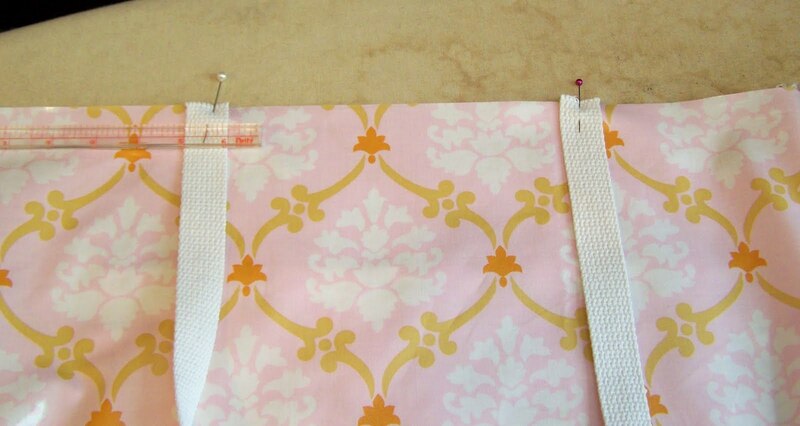 Pin the bag pieces, right sides together and stitch along the side, bottom and other side using a 1/2″ seam allowance. In this case the laminated sides are facing each other and stitching is a breeze. Repeat for the contrast. I didn’t think pressing seams open would work well with the laminate, so I serged the seams and pressed them to the side. You can simply press your seams to the side if you don’t have a serger. 7. Create boxed bottom. 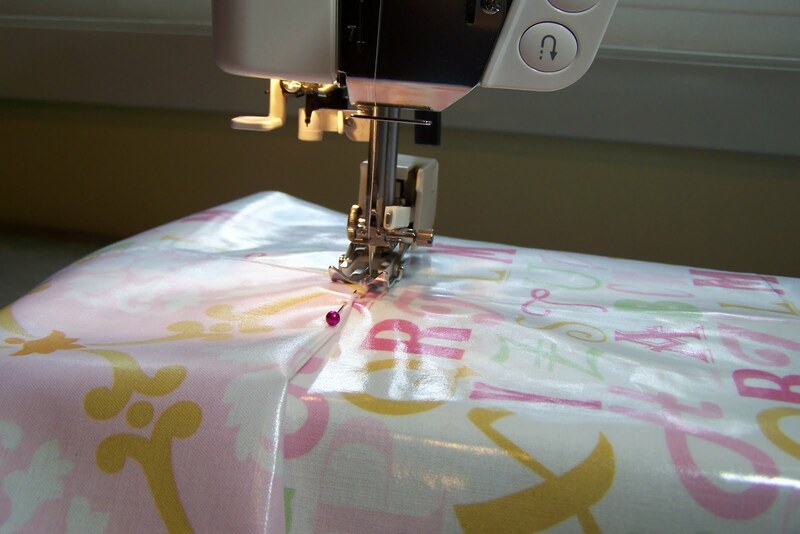 With the side seam facing you and centered, flatten the “bottom” of the bag to create a triangle. 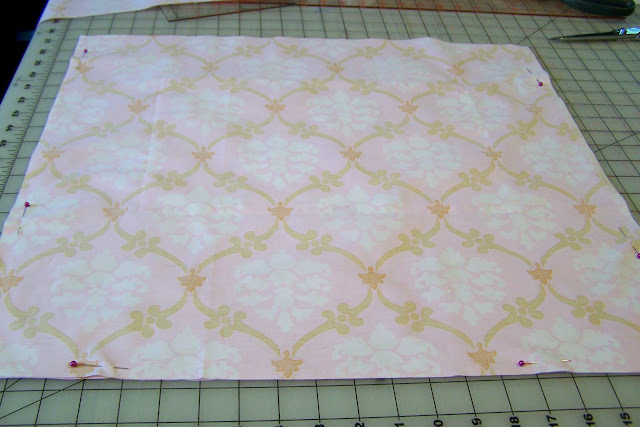 Measure the point at which there is 6″ across and stitch on this line. Cut off the triangle. 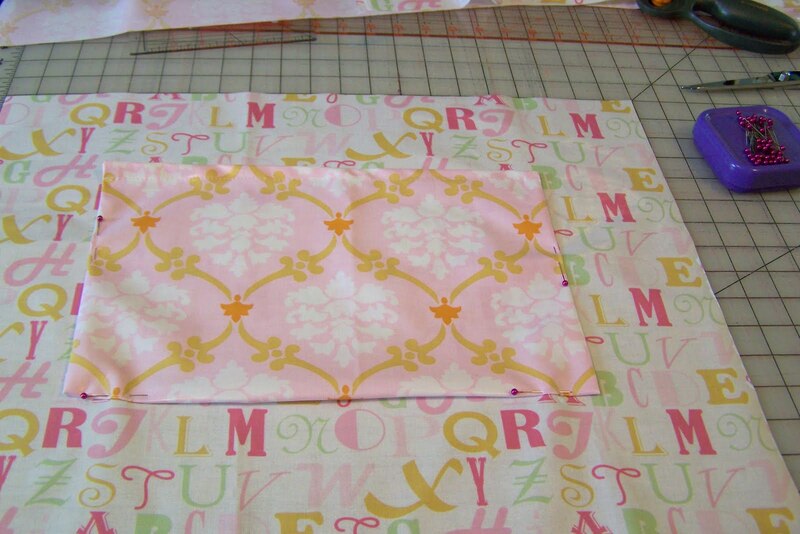 Repeat for the other side and the other fabric. 8. You now have two separate bags. I originally tried making laminate handles, but found that it was very difficult to turn the laminate inside out. Also, I thought the laminate might be sticky on the shoulder. So I opted to use a 1″ cotton webbing, cut to 30″. 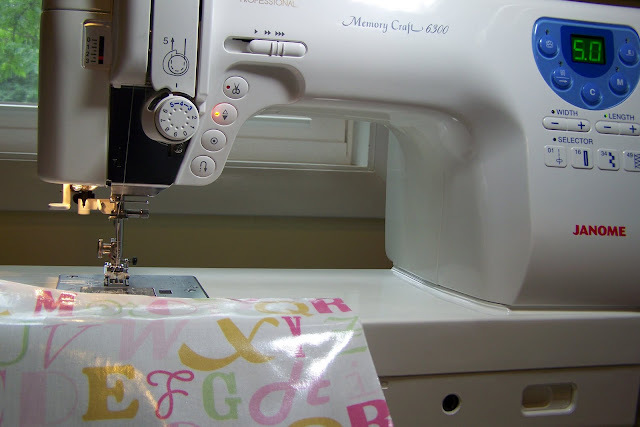 Pin the webbing 5″ from the sides of the bag. 9. 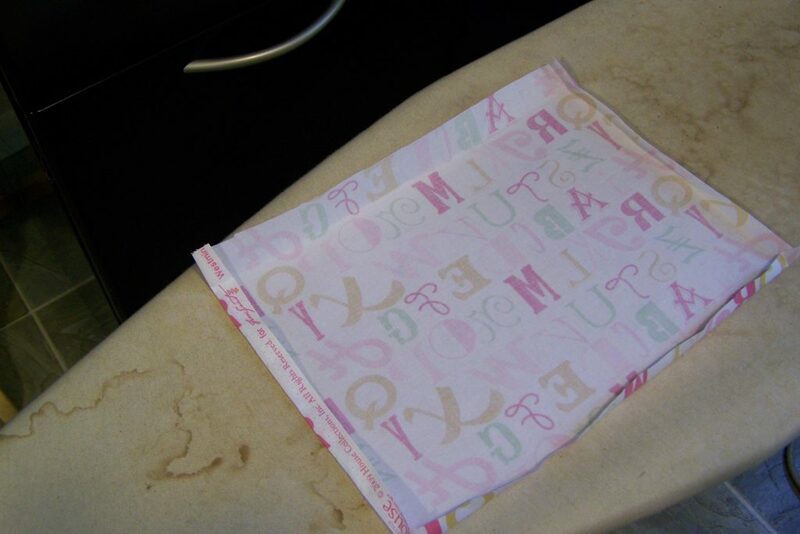 Place one bag inside the other so that right sides are facing. Pin around the top edge. 10. Stitch around the top edge leaving at least a 3″ opening. Turn the bag right sides out. It takes a bit of work because the laminates don’t slide very easily. 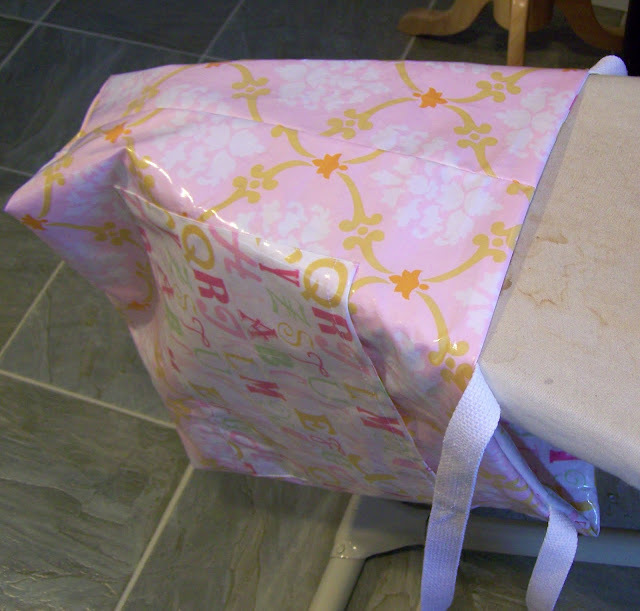 I placed it on the ironing board, lined up the top edges and gave it a good press with a press cloth. 11. 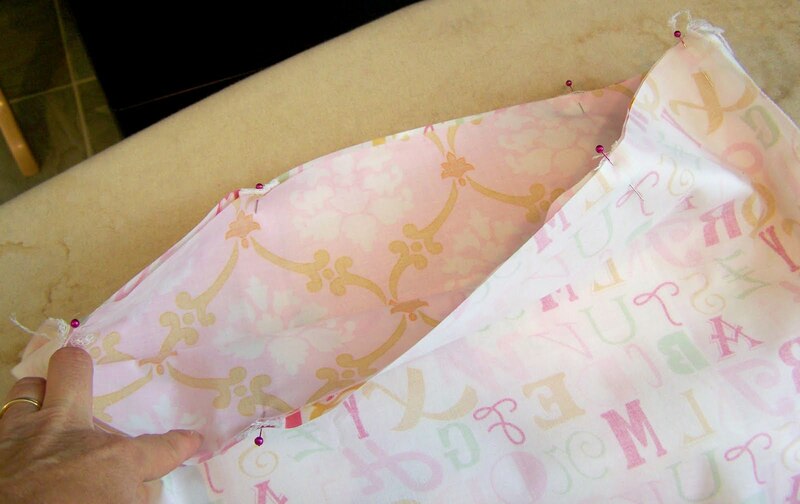 Top stitch around the top edge of the bag to close the opening.